Even the most robust, expertly maintained content management system will inevitably face the challenge of orphaned content. Regardless of how small or seemingly insignificant the content block may be, when an important piece of your written intellectual property loses its link to its original author, that piece of IP loses its chain of provenance that gave rise to the content in the first place. The effect is a disrupted chain of linkages, rendering many related content blocks essentially useless and degrading the value of the IP itself. It takes careful and regular monitoring to avoid orphaned content and the subsequent increase in resources needed to rectify the condition. Let’s take a look at a few issues surrounding orphaned content, starting with its genesis. Content is orphaned when it loses its link to authorship and, therefore, its link to an authoritative source. This can occur if a CMS user/author account is deleted or updated without the content itself being updated. The content subsequently can become a “problem resource” – disconnected from clear authorship permissions and only able to be updated or deleted by a system administrator. When content is orphaned, it can send ripples through the entire CMS. Every piece of linked content that refers back to data owned by the orphaned content is affected by its change in status, rendering them either broken or unable to be edited since the original author no longer exists in the CMS. This can be a serious problem, particularly if a CMS has significant user turnover or the system purges its authors regularly. 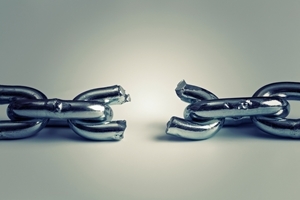 The challenge that heavily linked orphaned content creates is a considerable one. In addition to the manifold software errors it can prompt, the lack of author roles can undermine the authority of the content. Without author accountability, it becomes impossible to verify the veracity of data underpinning the piece of content – or even whose job it is keep the content updated. Deleting it may only make the matter worse – doing so can further break links in related files and folders. To avoid the operational hassle of orphaned content, Norris urges CMS designers to build a mechanism that acts a “self-examination” for a system, combing through content and flagging issues of quality and authorship, and funneling these issues into a repair feed. What this means is that orphaned content ideally needs to be repaired rather than purged. As previously stated, regular author turnover means that the task of repairing orphaned content defaults to a system administrator. The best practice, though, is for the self-examination algorithm to assign ownership to widely accessible dummy account whereby qualified authors can claim ownership and reestablish the chain the provenance. By taking a tactical, strategic approach and flagging content as problems arise – rather than only discovering a buildup of orphaned content after an audit – CMS managers can ensure their systems are clean and efficient.